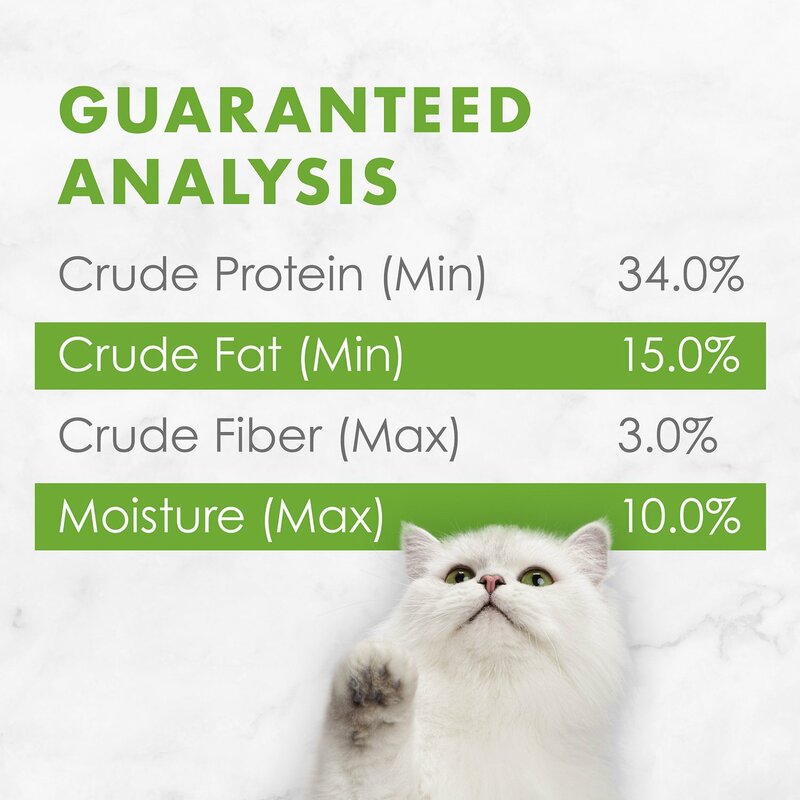 Fill your cat's dish with Fancy Feast Gourmet Naturals White Meat Chicken Dry Cat Food and it will be chockfull of natural ingredients, plus vitamins and minerals. 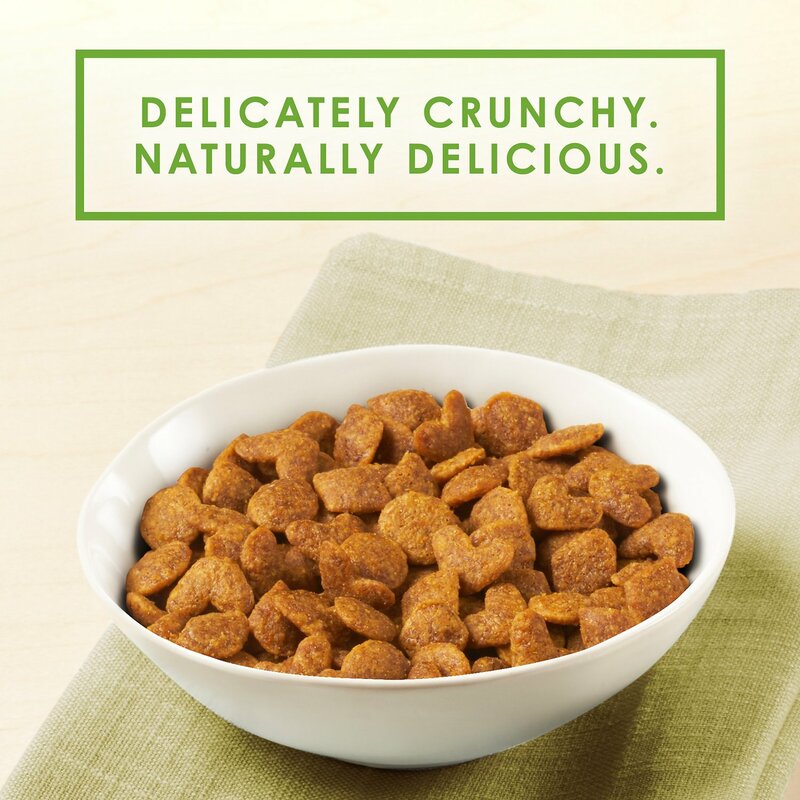 Every bite delivers exceptional taste and the satisfying crunch is sure to please even your sophisticated cat's discerning palate. This indulgent Fancy Feast recipe features real white meat chicken as the first ingredient, so you can feel confident she's getting a high-quality source of protein at mealtime. 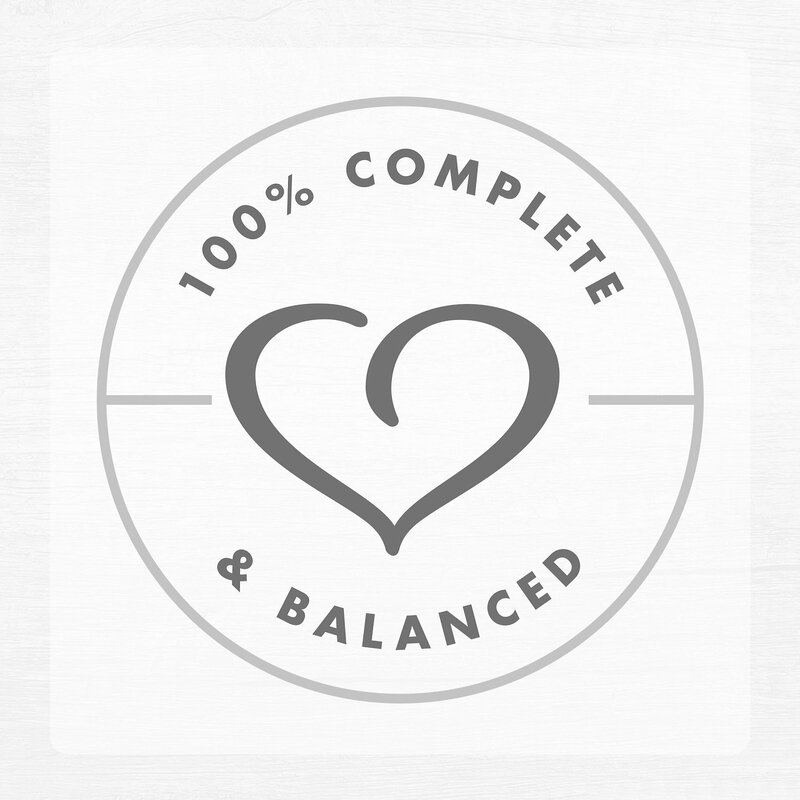 Plus, it's made without artificial colors, flavors or preservatives, giving her a wholesome meal option that provides 100% complete and balanced nutrition and 100% delicious flavor. 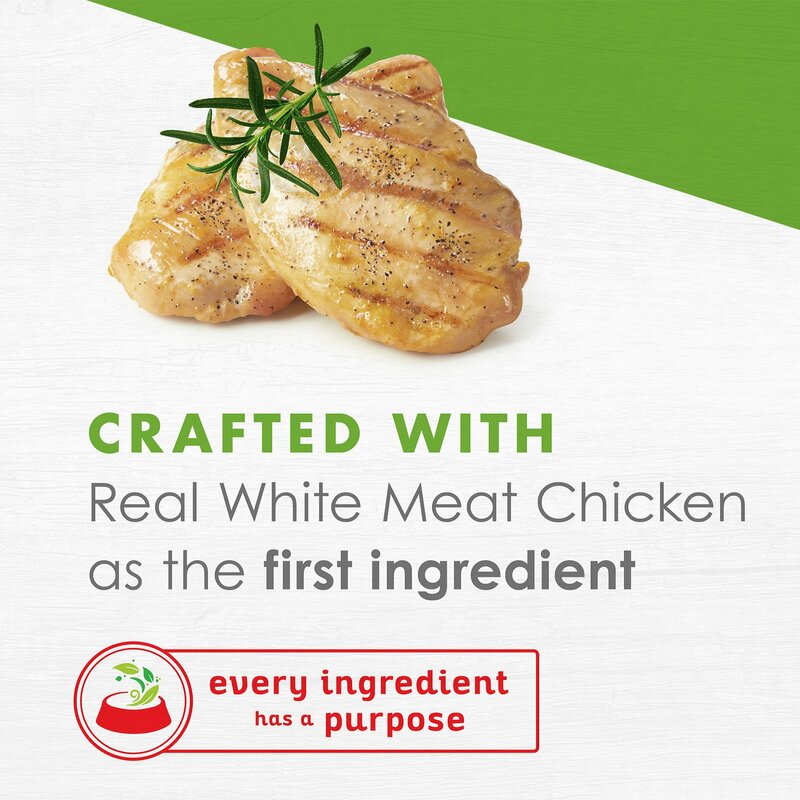 White meat chicken is the first ingredient, delivering a protein-packed flavor she'll crave. 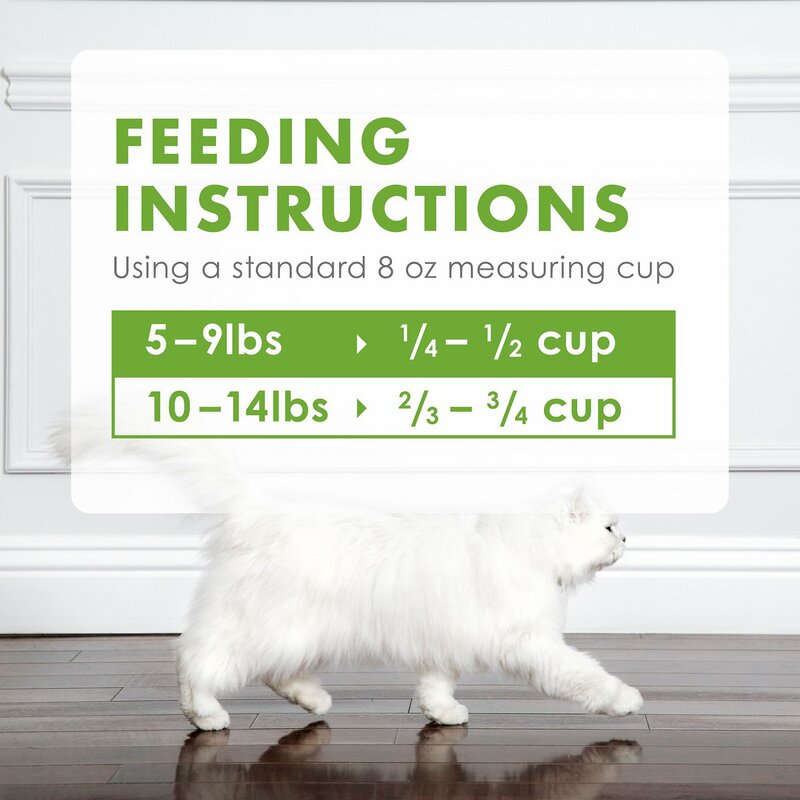 Exceptional taste cats love will bring them back to their bowl every night. I have a very difficult time finding food my cat will eat. He will not eat most dry food, wet food, chicken, seafood. He tried this and loves it. I hope Fancy Feast will have other flavor options in the future. Frankie likes Fancy Feast in any style, flavor or consistency. However, he loves this new flavor and will eat it first before having any of the other flavor we get, SHRIMP AND SIRLOIN. Frankie says you don't have enough stars, he would give it 10. 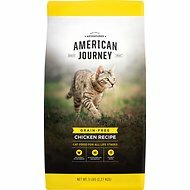 My cats absolutely loved this food! My cats loved this food. They seemed to think it is the most delicious dry food they have ever eaten. It has lots of vitamins and minerals too. Yum! This is a good variety of food with this brand of cat food,and our cat is very picky along with a sensitive stomach. No bad reaction at all ... We truly like the convenience of the product coming to our home and it is delivered very fast. I have tried a lot of different dry food some of it very expensive and this is the one the cats like the best. My cats love this and other Fancy Feast. However, having to put in "at least 50 characters" is stupid. Well Maybe today I will enjoy eating this new dry food......But not likely.....These cats of mine have moods and attitude, So I try different foods to give them variety......Conclusion, Like my mom would say to us kids, Don't like it don't eat it...That's what your getting!!! Ha! My furbaby isn't too fond of dry foods, but I keep some down for her to nibble on if she gets hungry between feeding. This is one that she will eat and I like that the pieces are small and easy for her eat. Our cat will eat ONLY chicken. He also periodically decides that his current favorite food is now disgusting. 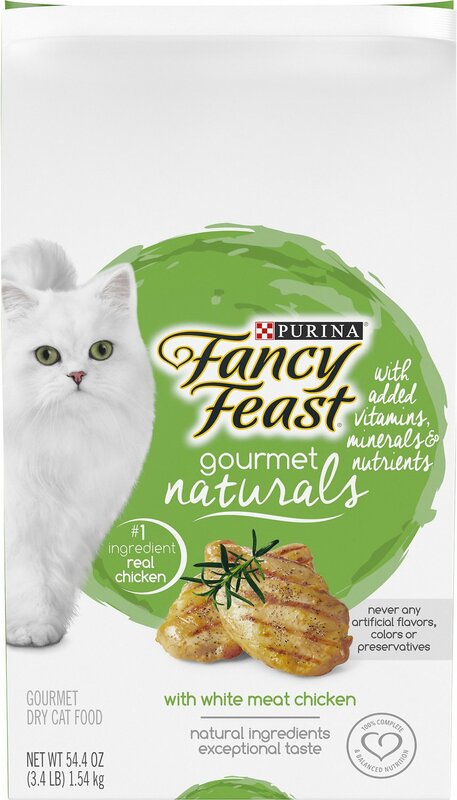 He has approved of Fancy Feast Gourmet Naturals White Meat Chicken Dry Cat Food for some time now, so it must be good! 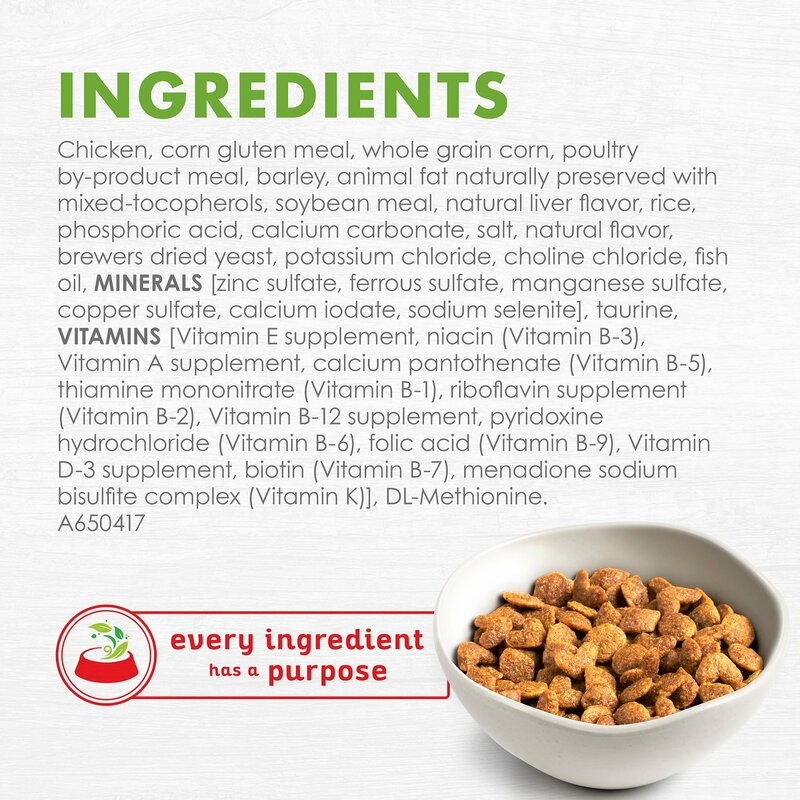 My kitties are very picky about the food they eat, but they absolutely loved this product. I will buy it again in the future.